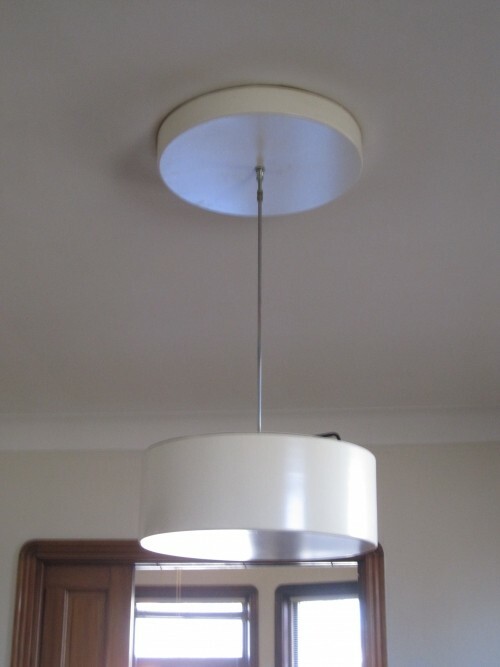 Retro Mod Ceiling Lamp. 2 available. Working Condition. Approximate size is 24" diameter and 10" deep. Hangs about 3 ' from ceiling but can be adjusted. Perfect for your retro home or office. Please contact for additional information. Item is marked local pick-up only. Other shipping and packing options will be considered if organized by buyer. buyer pays all shipping and packing.